This basement rec room suffered from severe water damage. Water covered most of the floor. 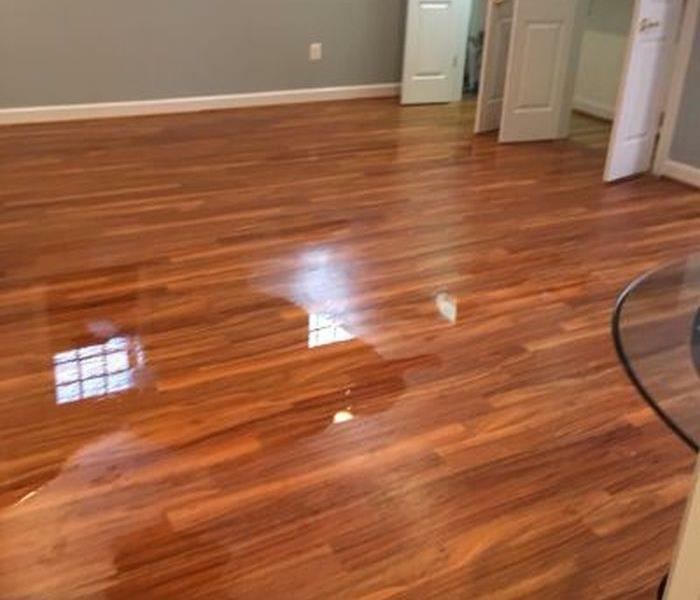 SERVPRO of Silver Spring North came in and cleaned up the mess. 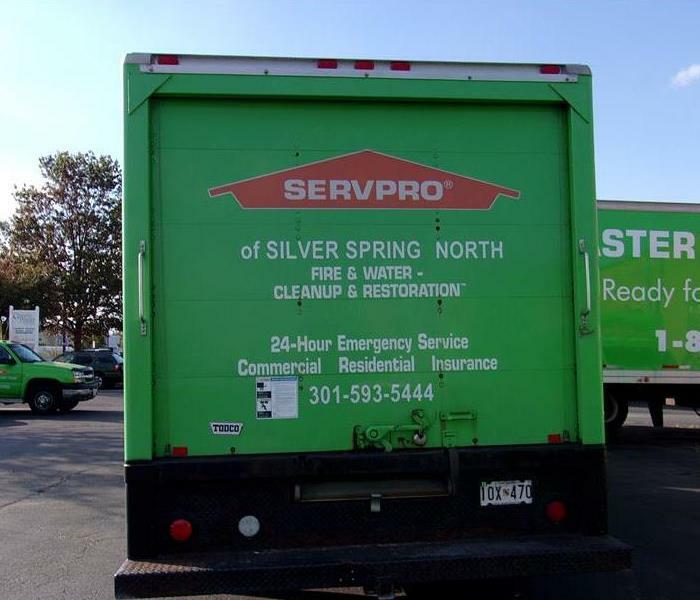 SERVPRO of Silver Spring North provides 24-hour emergency service and is dedicated to being faster to any size disaster. 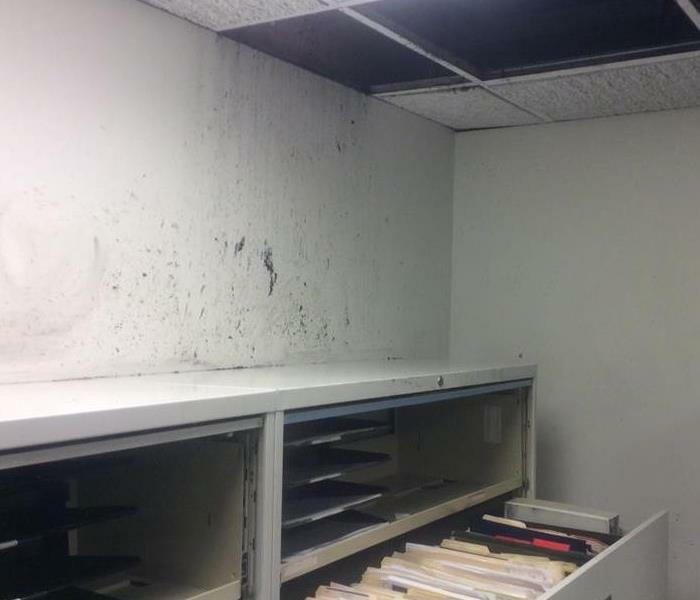 Commercial water damage at this Bethesda office building resulted from a cracked sewer pipe that burst during business hours. There were workers in the building, so SERVPRO was called in quickly which allowed us to clean up the water before it caused any extensive damage. What happens when you call for help at 2:00 a.m. on a holiday? We show up! You will know the right person has arrived to your cleanup by the green and orange trucks we drive and because each member of our crew wears a uniform. Feel comfortable knowing who is cleaning up your damage! We have some of the most imaginative, creative, and dedicated employees in the business! 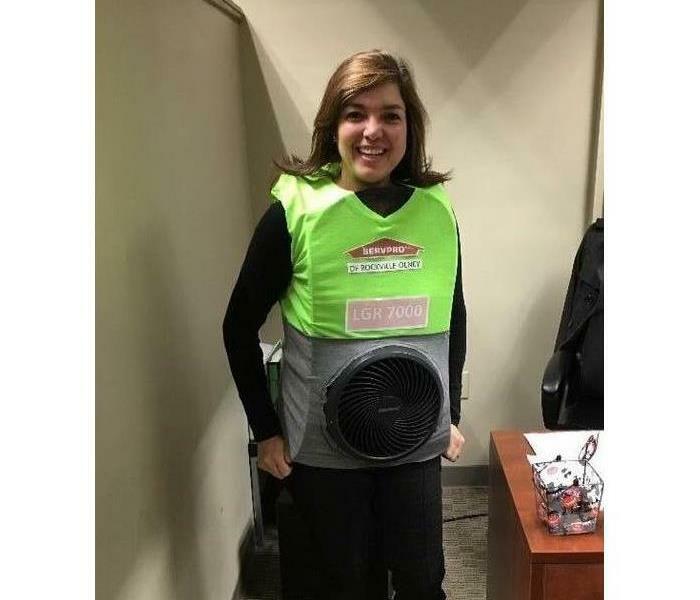 She put in a lot of hard work to become a SERVPRO dehumidifier! Happy Halloween from SERVPRO of Silver Spring North!! SERVPRO of Silver Spring North Christmas tree 2016! Our staff did an amazing job decorating! So grateful to be a part of this amazing team of people! 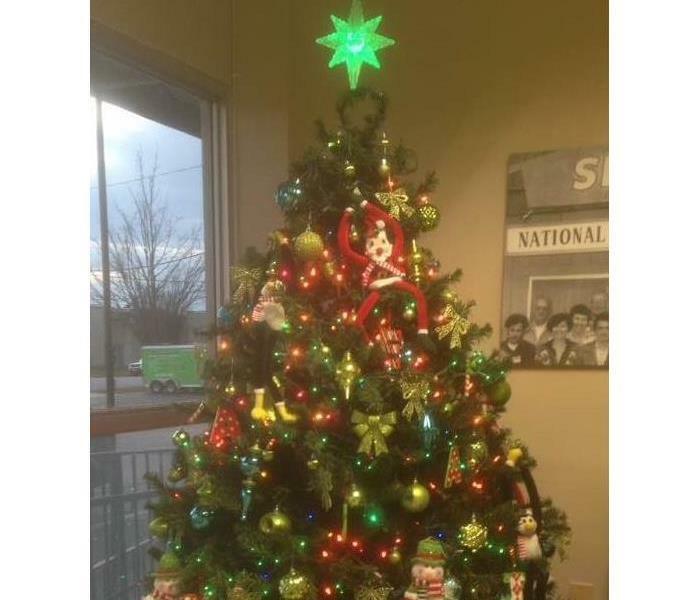 Happy Holidays from all of us at SERVPRO!